I enjoy "fine dining", presenting programs on radios 4MBS, MBS Light and 4RPH and going to drama and music at Brisbane theatres. Atomic Blonde is set in a Le Carre look-alike Cold War Germany - a gritty, blue-filtered, concrete jungle, where nothing is as it seems and no-one can be trusted. A double agent close to Lorraine Broughton (Charlize Theron) dies in the opening moments of the movie, and his watch containing vital information falls into enemy hands. Lorraine is given the assignment of recovering a list of double agents before it leads to security leaks and multiple deaths. There have been multiple variants on this particular scenario but nothing like Theron's take on the role. Her apprenticeship in Mad Max and The Fate of the Furious shows. This is nothing like a beauty queen heroine swinging a few choreographed punches and all the large men falling over. Fists, feet, and guns all seem real and brutal, and Theron spends much of the movie bloody, bruised and unbowed, as she thuds into walls, destroys her opponents and drives vehicles in Ben-Hur-like contests of speed and destruction. Not too many of the plot twists are unexpected but then this movie is not really about the plot, which is a thin excuse for Theron to be the ultimate woman action figure. 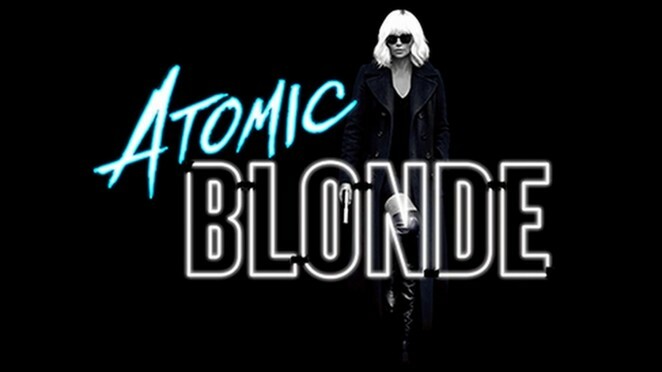 Think Blondie meets The Terminator. This movie may well last, and be seen as a decisive change in the genre, as female violence becomes all too bone crushingly, bloodily real.